My sweet Millie turned two last week. As her birthday approached, I decided I wanted to throw her a really fun birthday party. This desire came partially from the fact that her first birthday was a complete bust, because we had to travel to a funeral and she had a double ear infection! Thankfully, she was too little to know that it was her birthday, but I wanted this year to be different! When I was given the opportunity to work with Chuck E. Cheese’s to throw her a party, I was so excited. Chuck E. Cheese’s birthday parties are so simple to plan. All you have to do is go to their website, browse the party packages, click a few buttons, and your party is booked! This way, on the day of the birthday party everything is taken care of for you and all you have to do is show up and have fun. I loved that there was no pressure to do anything over-the-top. The whole day was just about spending quality time with her. 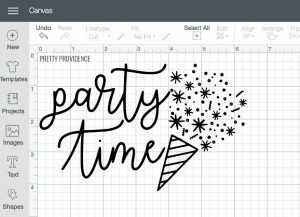 You can add DIY details to the party if you want to, or even bring your own cake and ice cream if you love to bake, but then let them do the rest! We had friends and family come to the party with kids ranging from two to ten years old. Of course, they all had a blast. It wasn’t just the kids having fun either, the dads had to be peeled away from the Street Hoops game! Millie is a big fan of the toddler area, where they have a small jungle gym perfect for her and games that are just her size! With all of the main details of the party taken care of, I had time and energy to do a couple of DIY projects to make this birthday personal to Millie! 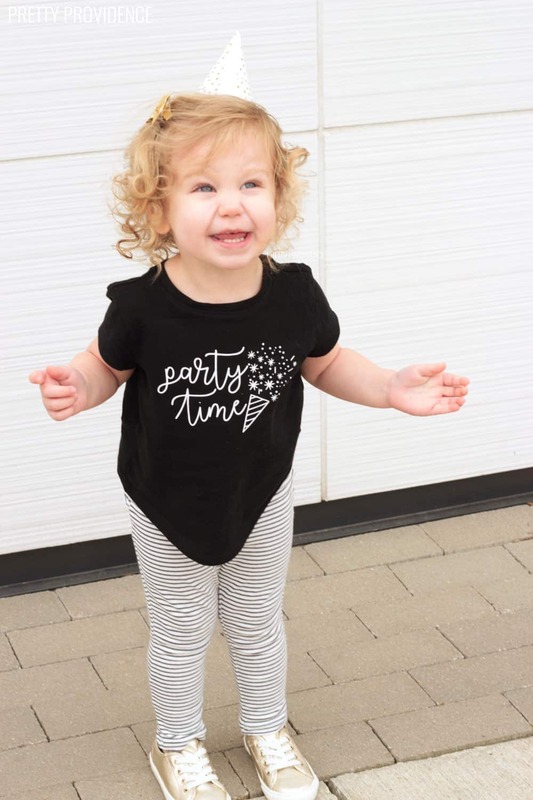 I wanted to make her a fun DIY birthday t-shirt to wear on the day of the party. Then, I made personalized birthday party goodie bags for everyone to take home. When designing the birthday shirt, I knew I wanted to make something that she could wear for more than one day. 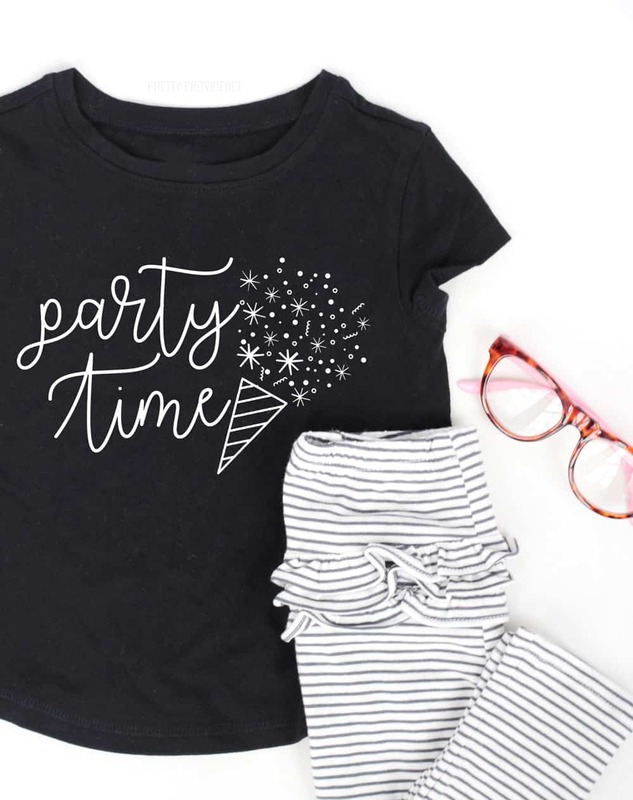 I decided on the the phrase ‘party time.’ This way, Millie can wear the shirt for her own birthday, for any future birthday parties, or even for a normal day. I used my Cricut Maker to make this birthday t-shirt for my girl. If you want to make one, you can use my file. It’s free for personal use. 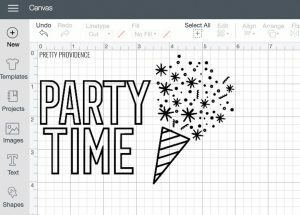 I made two versions – one with the cursive font, and one with a more bold font. My t-shirt files are not available for commercial use. Are you new to making t-shirts? Check out our in-depth tutorial for how to make a custom t-shirt! We kept the birthday party goodie bags simple, with a tag that said ‘Millie’s Favorite Things.’ I thought that would be a fun way to celebrate the unique little person that she is. 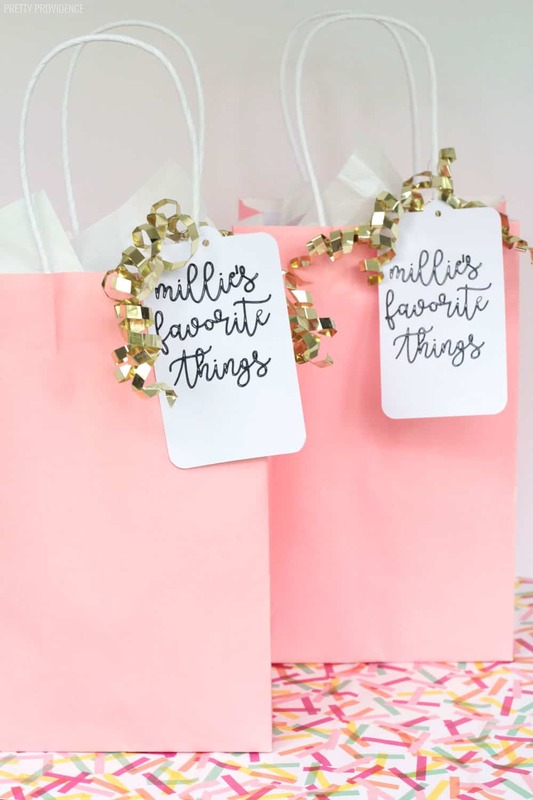 My Cricut Maker and pen “helped me” to write ‘Millie’s Favorite Things’ on the tags! What’s inside the birthday party goodie bags? I think the goodie bags were a hit. We have yet to meet a kid who doesn’t love a good punch balloon! Birthday packages start at just $14.99 per child and can be upgraded to All You Can Play for only $3 more per kid. You can check out all of the packages right here on their website. We LOVED the All You Can Play feature, it allowed the kids to play for the whole duration of the party and win lots of tickets. As you can imagine, they were thrilled! Can you bring your own cake to Chuck E. Cheese’s? Yes! Chuck E. Cheese’s can take care of all of the pizza, drinks, and cake and ice cream, but you are allowed to bring your own cake and ice cream if you prefer to do that. 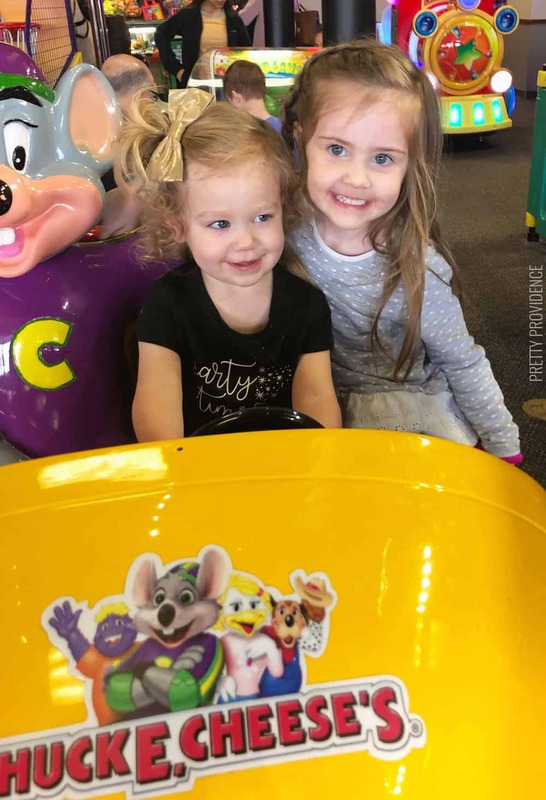 Have you ever done a birthday party at Chuck E. Cheese’s? We will definitely be going back again! Looks like a great party! Absolutely love the treat baggies! So cute! Chuck E. Cheese was always one of my fave party spots when I was little! such fun ideas!! that t-shirt is adorable!! SO many great ideas! I always love doing parties outside the home – so much easier to come home to a clean house after a big day for everyone! Totally! We all came home and had a nap, it was amazing!!! My dream as a kid was to have a birthday party at Chuck E Cheese. This one looks like the perfect party. It was so fun! My four year old is already begging to go back for hers in November!